Each Day Without Fail — Ginger writes. In recent days, I have had a few good conversations with friends about writing and the idea of simply showing up to do the work one has been given to do. Coupled with my current reading of Grit by Angela Duckworth, I feel motivated and inspired. It's a good feeling to have heading into fall and a new school year and a couple days to myself each week on the horizon. I feel as excited about Veritas and the education my kids are getting as I have felt in a while. Thank you, Lord, for their teachers and the administration and this opportunity to co-teach and learn with my children. Thank you that I can learn and grow all my life. I feel less excited about the culmination of ski-all-summer weather, but Thank you, Lord, for the many beautiful mornings and afternoons on the lake. Thank you for TJ's willingness to get the boat out a million times. As you would expect, the start of a new time of year means I made a list. Thank you, Lord, for quotes about lists. Thank you, Lord, for this perfect fancy notepad that my friend Sarah gave me for my birthday. It makes making a List For Fall a beautiful thing to do. A list helps me "not to get out of my routine," as Tolstoy said. It reminds me of the things I want to do and is even more helpful when I list specific occurrences (i.e. volunteer 1x at Veritas) or break items down into manageable chunks (i.e. work on photo wall 30 min/week). I imagine the transformation that will take place on the blank wall in our little hallway library, in thirty-minute increments, over the course of the school year, just as I remember how copying down quotes in twenty-minute increments over many days and weeks has given me multiple commonplace books bursting with favorite words from favorite writers. My life has been shaped not just by the words, but also by the practice of sticking to this thing I love. Thank you, Lord, for words. I also imagine the transformation that will take place in my home in the months ahead as I practice the things I learned this summer from The Connected Child. It was a very timely and helpful book for this Mama Bird. Thank you, Lord, for leading me to this book and for letting me learn how to nurture. I am learning that the more I read, the more connected everything becomes. I regularly spend time reading and meditating on quotes I've copied down about writing, and how to stay the course when it becomes difficult. One of the books that inspires me most is Natalie Goldberg's Writing Down the Bones. She talks about Ernest Hemingway, and the disconnect between the character qualities he gave Santiago and the character qualities he himself displayed in his real life. Upon reading The Old Man and the Sea this summer, I came to understand Goldberg's point more thoroughly. One reason I wanted to read Rilke's Letters to a Young Poet was so I could better connect with Robert Benson's references to Rilke in Dancing on the Head of a Pen, another book from which I've copied quotes on writing. Now I'm reading Grit, in which Angela Duckworth tells Julia Child's story and references events from Child's autobiography. It was a good feeling to know immediately the details which Duckworth describes. I didn't plan this merging of stories, but when it happened, the connection brought me joy. I read The Road Back to You about the Enneagram and now I am more connected to myself and all the other people who are all the other numbers. I read Bird by Bird and now I'm more connected to all the writers out there trying to write. I read The Quiet Side of Passion and now I'm more connected to the lovely philosophical musings of one of my favorite fictional characters of all time, Isabel Dalhousie. 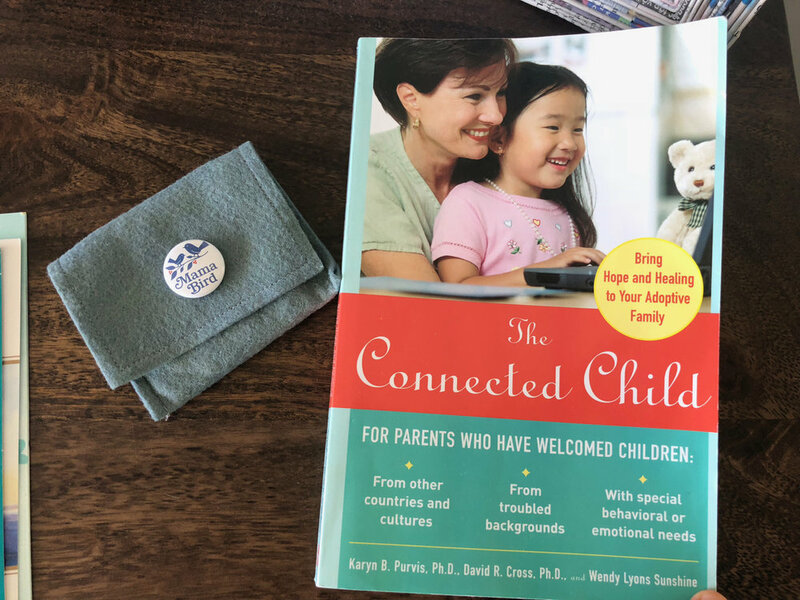 I read The Connected Child and now I am more connected to my children. Thank you, Lord, for making a world that intertwines in so many meaningful ways, and for letting us be connected to each other and to you.